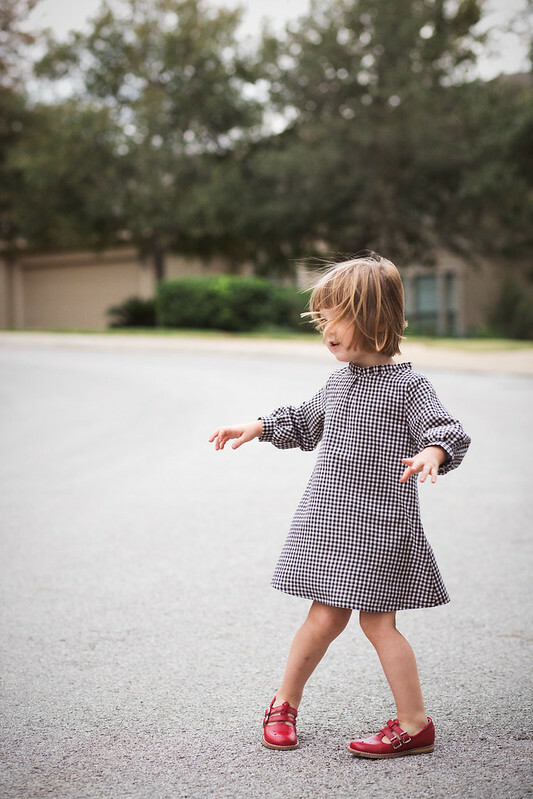 When I was introduced to the Hattie dress pattern through Flip This Pattern, I knew I wanted to make this dress for Iris. The ruffled neckline, the inverted pleat, the curved hem - there's just so much to love! The finishing on this pattern is a bit sparse. It reminds me of a Japanese pattern. For instance, the dress is unlined, so the seam at the neckline and ruffle is exposed (on the inside of the dress). My kids are pretty picky about anything that feels remotely itchy to them, so I lined the dress. I also understitched the neckline. 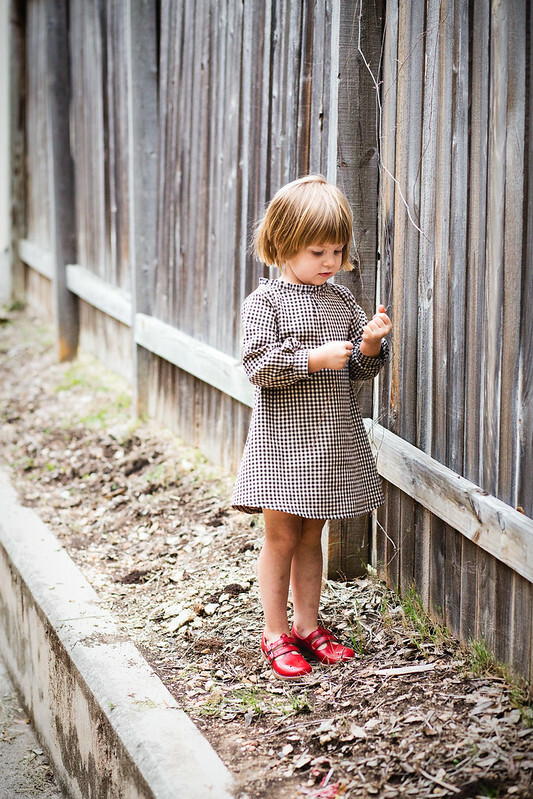 Even though Iris normally wears a size 3T, in this pattern she measured a size 18 mo. So I went with that and added length to both the dress and the sleeves. I also cut off about an inch from the cuff to make it shorter. 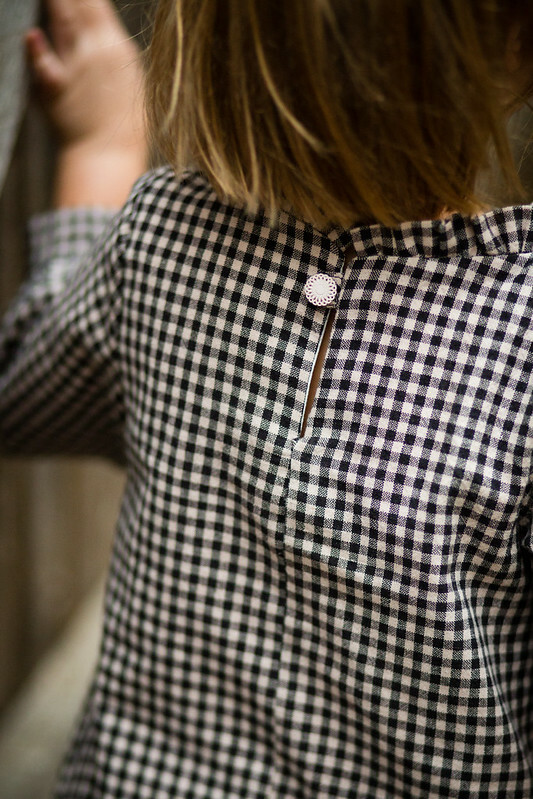 I finished the dress with this vintage button. All in all, I'm thrilled with this dress. It really couldn't be sweeter as far as I'm concerned - those pattern details are great! And Iris really loved it too! Oh Iris! She's so much fun to have around. Last week, the kids discovered a rat in our storage bin outside. They kept trying to peek in and catch a glimpse of him. I was worried that Iris might try to catch him and get bit, so I warned her that rats can bite. Indigo chimed in. "Yes, and they especially like to bite kids whose names begin with 'I'. They're extra juicy!" Iris' eyes got wide and she gave us a look that was both sad and deeeeeply offended. Dan surprised us all by being visibly disgusted and then confided, "I'm not afraid of many things, but I am afraid of rats! I can't stand them!" 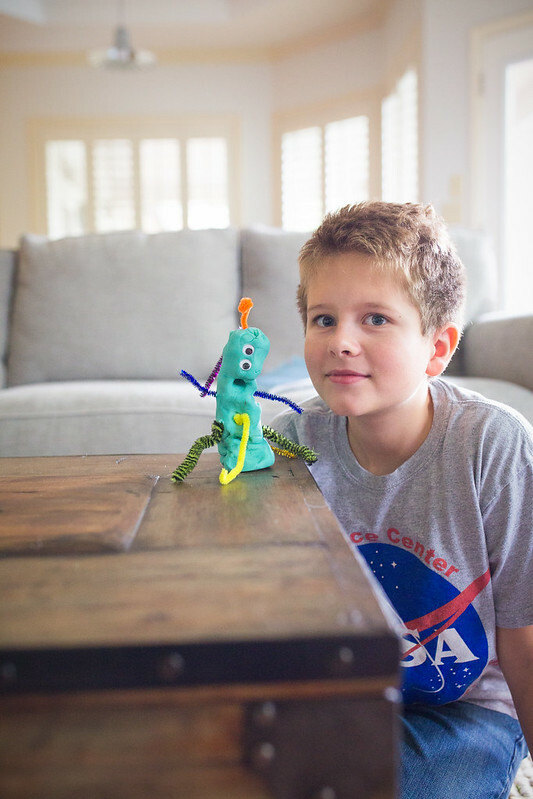 Maybe it was because it was Halloween week and we were all feeling extra tricky, but the next day when Dan was at work, the kids and I started scheming. "We should totally buy a fake rat and put it in dad's sock drawer!" Indigo said. I added, "If we wait until his birthday (in April) he'll have forgotten and we can really surprise him with a rat party." Indigo exclaimed, "We'll bake him a rat cake!". Jude chimed in, "And we'll see if we can find a shirt with a rat on it that says, 'Rats!'." (If someone hasn't invented that shirt, they really need to.) We all agreed we needed to keep this a secret from Tia and Iris because they were too young to be trusted to keep such an epic plan to themselves. Later that day, Dan came home from work. Jude told him, "Boy, Dad, we sure are glad you told us about your fear of rats. Now we definitely know not to like, buy a fake rat and put it on your pillow or in your sock drawer. And we absolutely wouldn't do something like throw you a rat party. Especially not for, say, your birthday, because you would have totally forgotten about telling us about your rat phobia by then. Yeah, Mom, Indigo and I, we would never do anything like that!" Yup, it's a good thing we didn't tell Iris and Tia because they would've blown it! Those plans may have been a bust, (Rats! 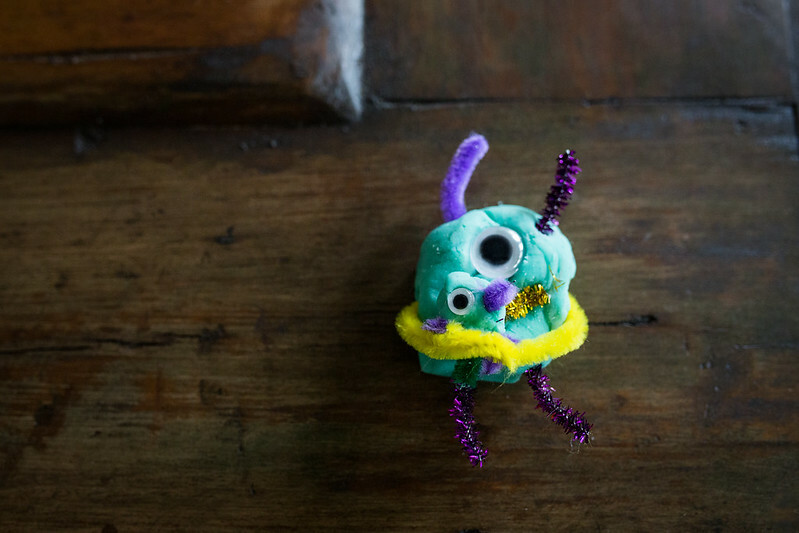 hehe) but this play dough craft went way better than I expected. The kids played with these for a couple of hours. They were really into it. 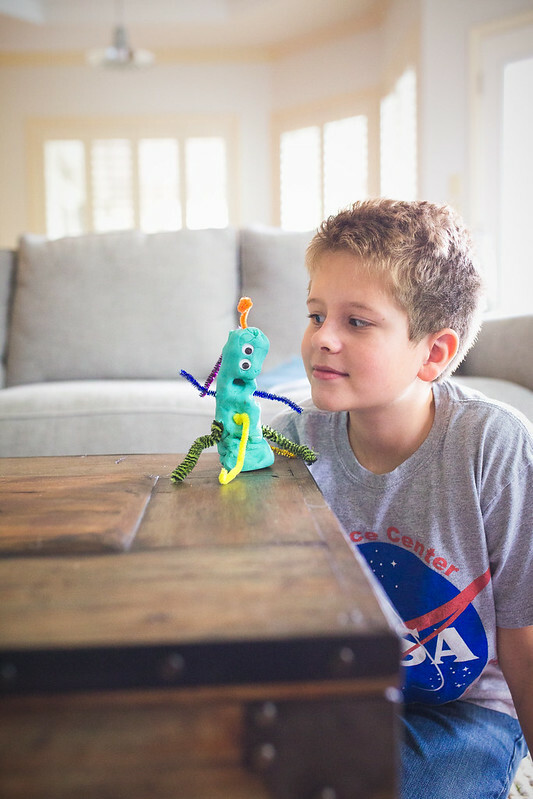 Any craft that keeps kids entertained for that long, I must recommend! Man, these kids are so much fun! Iris looks like a young lady with this dress, I guess the ruffled neckline is in cause. 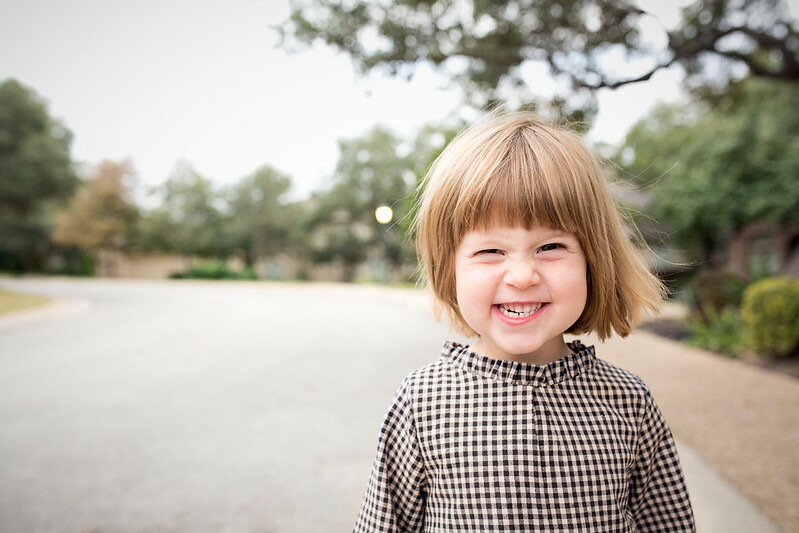 We french are used saying that US patterns are large, but it seems to be really the case with this one (18 months for a 3 years old girl !). Anyway, Iris is adorable with this dress, as usual. What about T-shirts with "rat is your friend" for all the family to welcome Dan one day ? (I can have a loooooooot of this kind of idea if you need some but I am sure you don't with your Scooby gang !). that dress is just adorable! 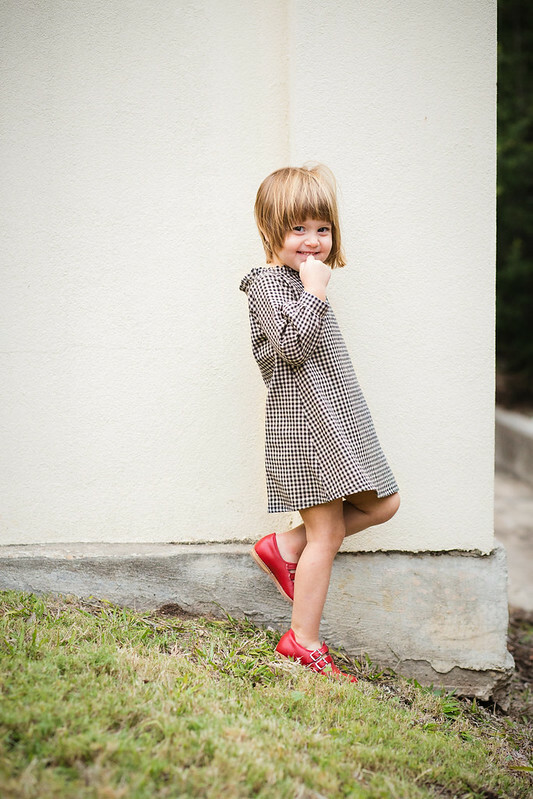 i love the black and white checks with the red shoes (i had those same shoes as a little girl!). but most of all i love cute little Iris - such great photos! 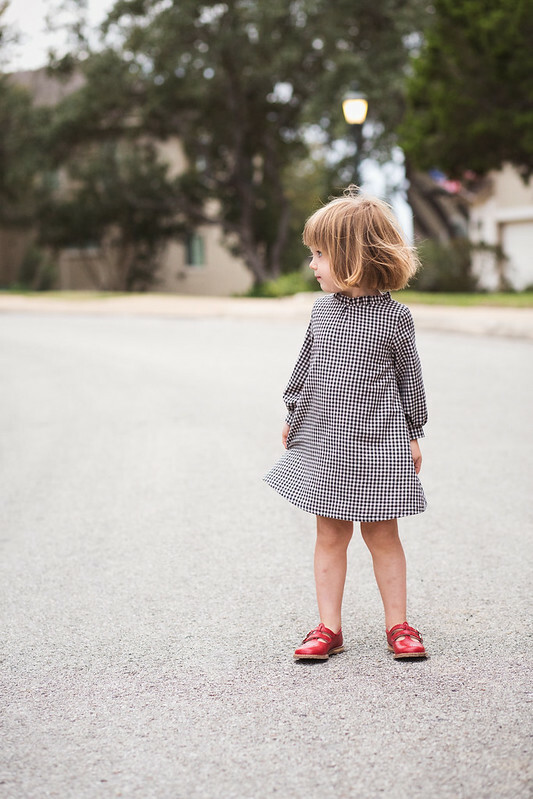 What an adorable dress, and it's perfect in that fabric! You have the cutest kids, and such beautiful photos! I absolutely LOVE that dress. It looks so good in that fabric. The little red shoes are just the icing on the cake. I love the retro feel of this look you created!! Adorable! 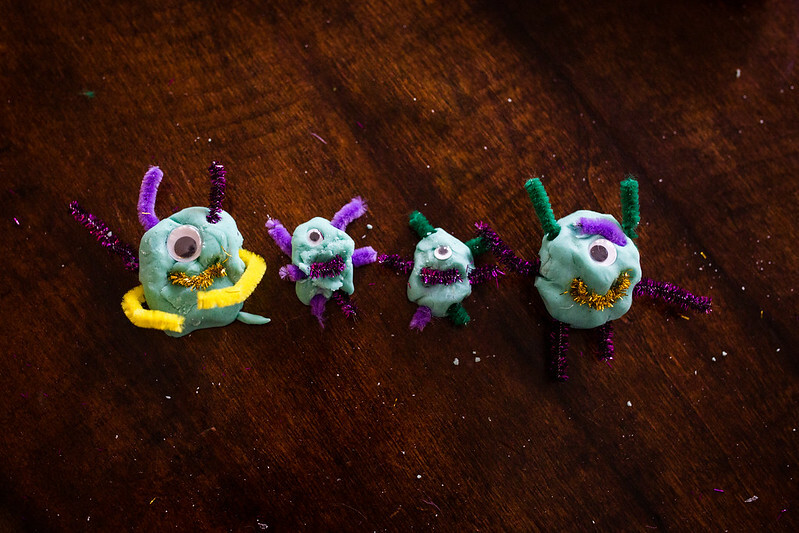 I'm definitely going to do the monster play-dough too! Thanks, Courtney! And yes, definitely do i try it! I was surprised by how much fun they had. I set it up for Iris while I did homeschool with Jude and Indigo, but it turned out J and Ind were way more into it than Iris. Next they want to try it with air-dry clay! 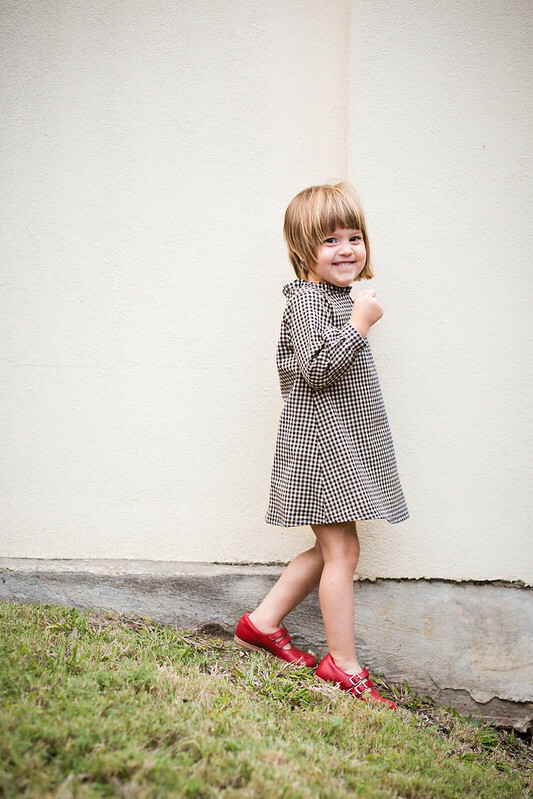 Oh man that is one cute kid in one cute dress. ADORABLE. 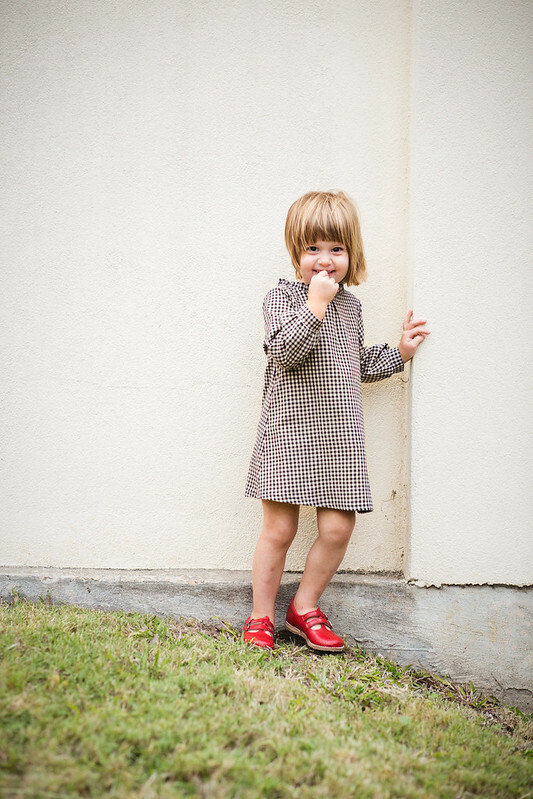 nice gingham-matching on the side seams, too! Doh Jude. you muffed it kiddo. I say give it a week and then do the plastic rat in the underwear drawer 'cause he really won't be expecting it then! iris is looking so exceedingly cute (as ever). love the dress and you got it perfect. The fabric, the fit and the lining. Nice one. Another great creation!! And....love the "rat story".... Give it time, you may be able to pull one over on him yet! That dress is adorable!! 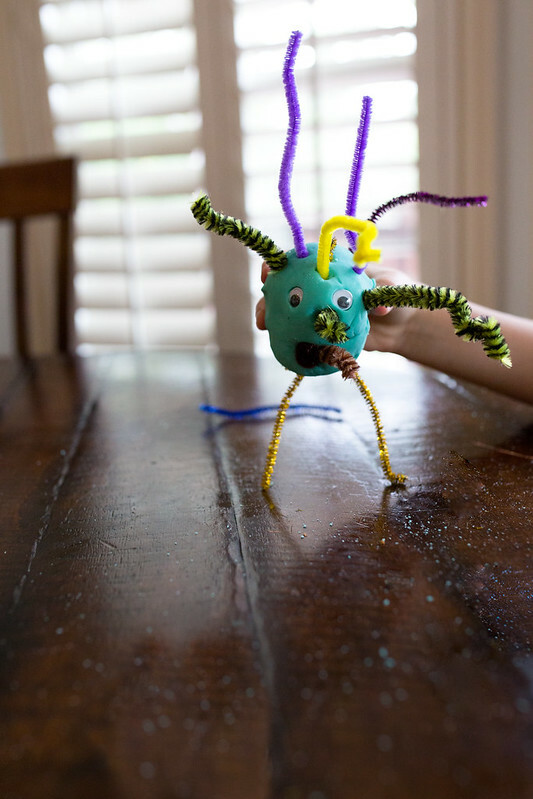 And those monsters are super fun...my son just saw them in fact and has requested that we do THAT Today! And, ugh rats! We have one or two that have been coming around off and on for the past year or two and I HATE (i don't use that word lightly) rats! I'm not afraid of anything really other that rats and mice...ick! they give me the heebie jeebies! How cute is this dress?! I love the old skool feeling it has, truely adorable! So much to love here. That dress is just perfection. Iris's grin!!! JUDE!! We we NEVER do that, dad! Just all kinds of awesome. We have mice in our house right now. :( They are actually really cute, so it's hard to kill them, but on the other hand, YUCK. The rat hating totally reminds me of Indiana Jones and the Last Crusade. I am SO late to this post, but I just can't read it without thanking you for sharing! Such a funny family moment about those "rats". Hehe. It's sometimes pleasant when the oldest does something that shows he/she is still quite young after all. They grow up so fast! Those moments are perspective.